If you do one activity in Iceland, make sure it’s a hot spring. 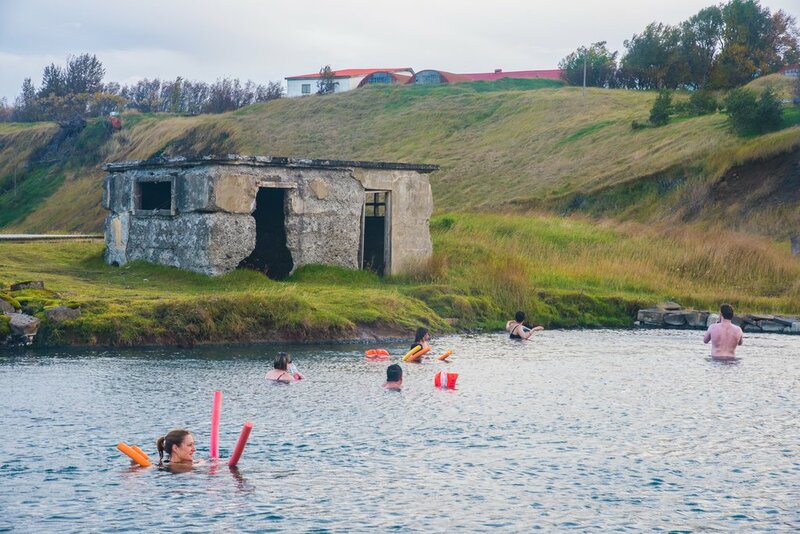 Swimming in hot springs or geothermal pools are a time-honored tradition among Icelanders, ever since the days of the sagas. Families, couples, and friends get together regularly to soak, play, and share the latest gossip or news in hot waters. Depending on where you are, hot springs range from natural hot pools carved from the rock, to man-made pools with carbonated thermic waters, to more typical swimming pools, heated with geothermal energy. While the Blue Lagoon can be a bit crowded for some people, this guide will show you the best-kept secrets awaiting you all over Iceland. So don’t forget to pack your swimsuit. The following may be the most popular and famous, but that also means that they can be the most crowded, especially during peak seasons. Both options can still be memorable experiences, but we prefer the options further afield, which are a bit more unique, secluded, and sometimes take a bit more work to experience. The Blue Lagoon is the most famous swimming hole in Iceland, but few know that it’s actually artificial runoff from the nearby Svartsengi geothermal power plant. Over time, silica deposits and superheated seawater began to collect in a nearby lava field. After locals discovered that a warm dip in the mineral-rich waters were beneficial to skin ailments, they opened up public facilities in the 1980s. 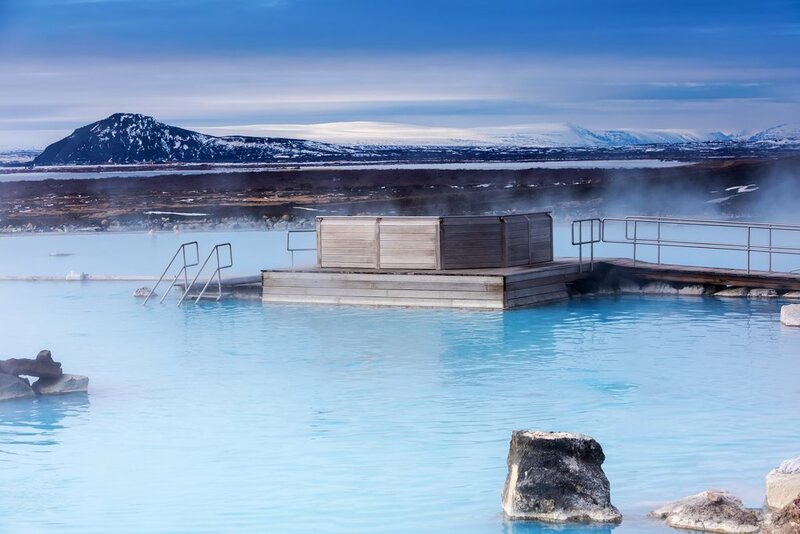 Now, the Blue Lagoon is a world-renowned destination where travelers can indulge in waters of 99°F (37°C), ease aching muscles in the sauna, and sample grilled lobster at the LAVA Restaurant. If you prefer a Blue Lagoon experience that’s not as crowded, check in at the on-site Silica Hotel for access to a private lagoon. Though relatively unknown among tourists, Reykjavik is home to its very own sandy beach. Open only in the summer, Nauthólsvík Beach is a short walk south from the city center. Next to the cold sea is a long rectangular pool where you can enjoy soaking. There's even changing facilities and a small booth where you can buy ice cream. Open: summer 10am-7pm, varying times in the winter. 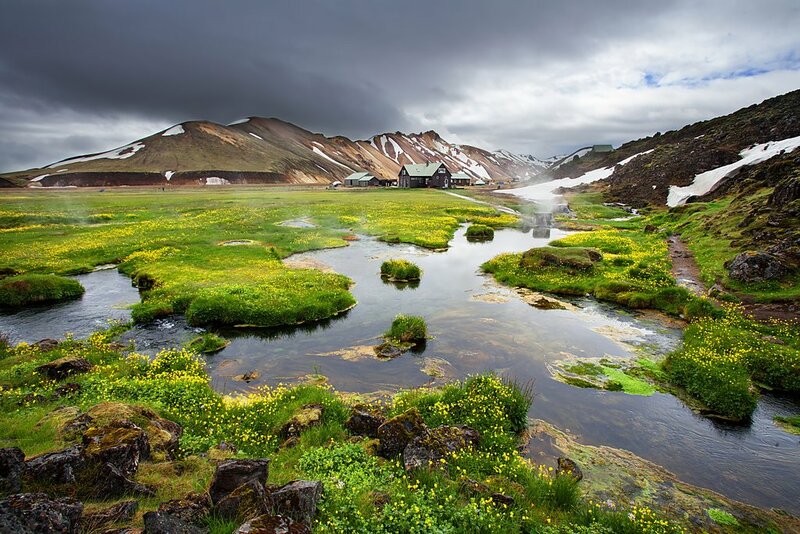 A challenge to find, Landbrotalaug is comprised of two hot pots in either side of a little pond behind an abandoned farm in Snaefellsnes. This is the place to head to if you crave some seclusion--miles away from any town. One hot pot is fed by a pipe into a large pool, and the other, deeper but narrower, is located behind a makeshift rock wall. GPS: N 64°49.933 , W 22°19.110. 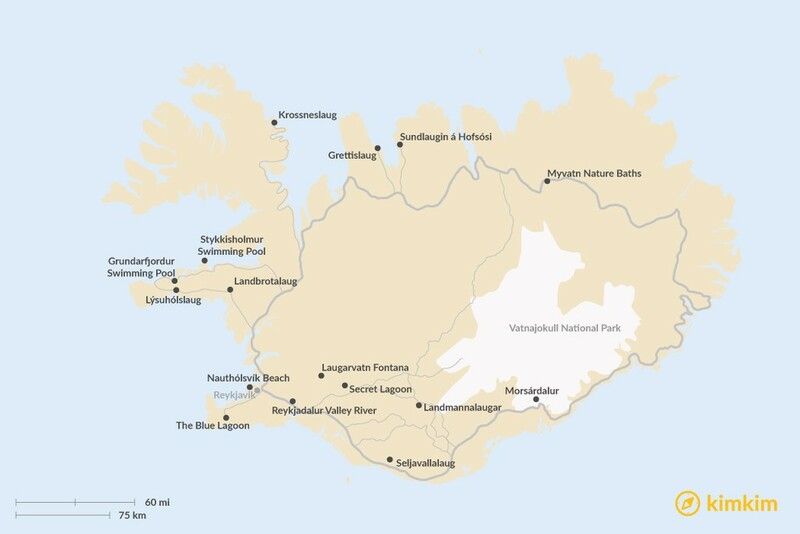 Look for Lýsuhólslaug in the south of the Snaefellsnes Peninsula. It appears like your typical, humble swimming pool, but the waters are fueled with warm, geothermal water and rich in minerals. The small town of Grundarfjordur is famous for the nearby Kirkjufell mountain that serves as the town's iconic landmark. Near the town’s campsite, you’ll find two hot tubs with a wading pool. Open: May 19-August 20, Mondays - Fridays from 7am-9pm and Saturdays - Sundays from 10am-6pm. 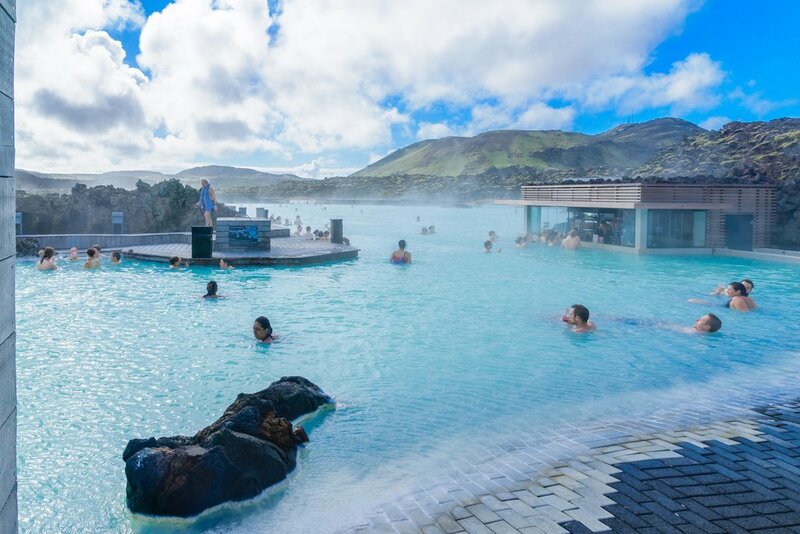 The large port of Stykkisholmur is home to an extensive swimming complex, with both outdoor and indoor swimming pools, thermal tubs, wading pool and a fun waterslide. Open: year-round, weekdays 7am-10pm, 7am-7pm, Sat 10am-6pm, Sunday 10am-6pm. Despite its name, the Secret Lagoon is no clandestine pool. The hot springs’ popularity has soared in recent years, especially among afternoon tourist crowds. During a brief pocket between 3:30pm and 5:30pm, daily tour groups show up in queues (especially on the weekends), so we advise you visit in mid-mornings or evenings. Built in 1891, the Secret Lagoon fell into disuse and remained virtually abandoned until its recent renovations. Visitors can sit back and relax in geothermal waters, watching the small geyser erupting a few feet in the air every few minutes. The area has been kept as natural as possible, with few facilities, in order to retain a homey atmosphere. Open: May to September 10am-10pm, open Oct to April 11am-8pm. The enchanting Laugarvatn Fontana is billed as a geothermal spa, with steam rooms and hot springs on the edge of Laugarvatn lake near Thingvellir. Soaking in its waters offers a gentle respite after a long day on the Golden Circle. Open: 10am to 11pm daily. 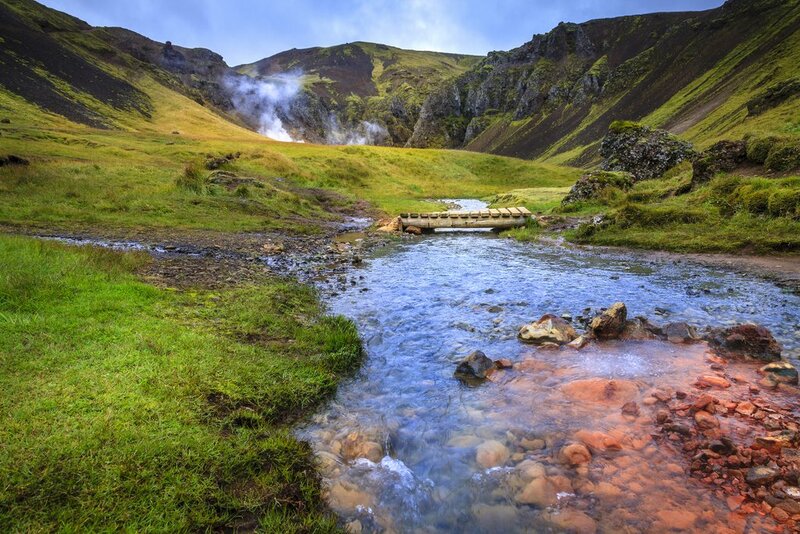 It’s no wonder that Reykjadalur, whose name means “smokey valley,” is home to an active geothermal area and hot springs. town of Hveragerdi was built in a geothermal valley, Reykjadalur--whose name means “smoky valley.” Just 25 miles (45 km) from Reykjavik next to the town of Hveragerdi, hike from the trailhead due north to Reykjadalur for about an hour before you arrive at a hot river coursing through the valley. 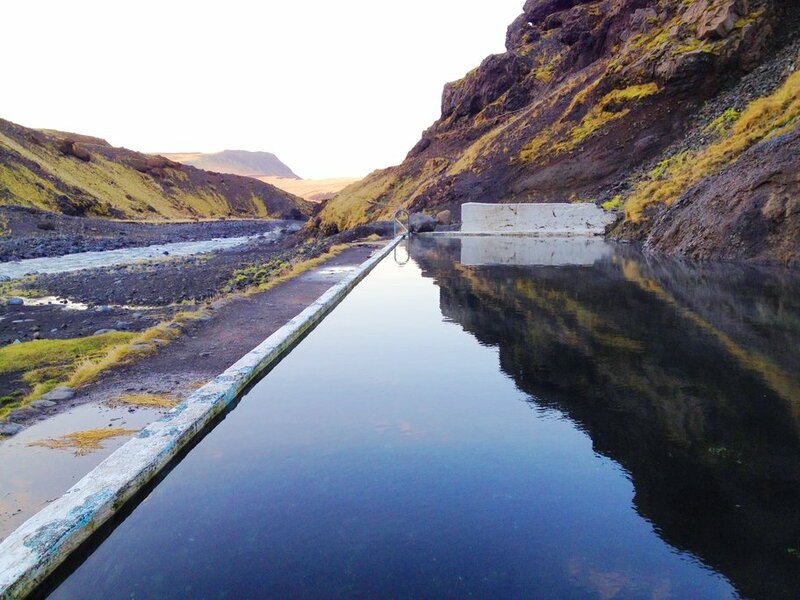 One of the oldest pools in Iceland, Seljavallalaug was constructed in 1923 around a natural hot spring near the Laugará river. Deep in the mountains and still relatively unknown, it’s a great spot along the South Coast to get away from other tourists for a bit. There are some very simple dressing rooms in the area, but no showers. To get there, take Route 242 from the Ring Road and drive until the parking lot, then walk about 10-15 minutes to the mountain side following the path. Morsárdalur is the 6-mile (9 km), flat-bottomed glacial valley just west of the Skaftafellsheiði plateau. 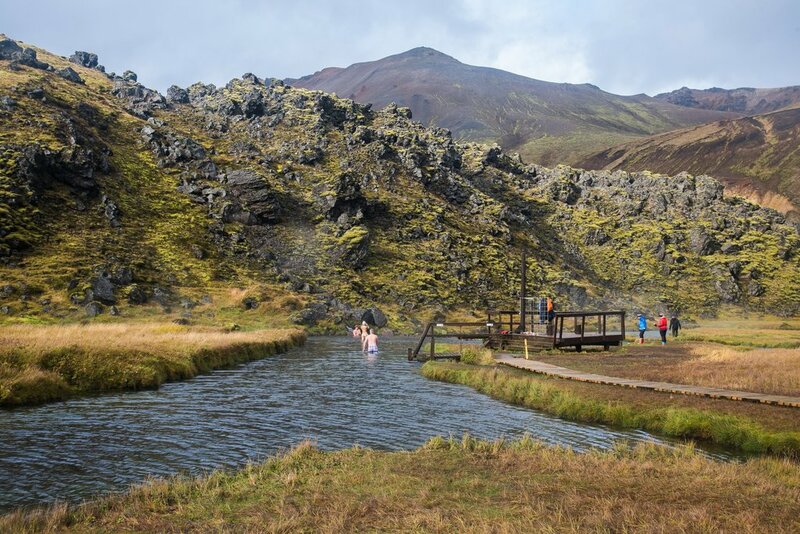 Head into the forest of Bæjarstaðarskógar, past willows and birches, to find a small geothermal pool just large enough for people. 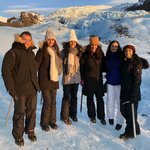 Afterward, you can head up further into Morsárdalur for a short hike, and turn west for the beautiful Kjós canyon with its low waterfalls and bare boulders. You can climb into Morsárdalur by following trails from Svartifoss, or take a more direct path direct from the Visitor Centre. This alkaline bathing lagoon is built up like a spa--a different, less populated version of the Blue Lagoon. It’s a great respite after a long drive through the highlands, complete with two steam rooms, hot baths, and a cooler pool with views of stretching lava fields. Grettislaug is a bit of a challenge to find, but certainly worth it. A deep oval spring that fits 15-20 people, with a temperature of 107-109°F (42-43°C). Built right on the shore’s edge, the pool catches some of the spray of crashing waves. It’s said that Grettir of Grettisaga fame bathed in this spring after a legendary swim from Drangey in the 11th century. Directions: From the Ring Road at Varmahlid, turn onto road 748 and continue for 25 miles (40 km). The swimming pool of Hofsós is outdoor pool and hot pot, opened in 2010 and stunning against the fjord and the bay. Open: 9am-9pm Jun-Aug, 7am-1pm & 5-8pm Mon-Fri, 11am-3pm Sat & Sun Sep-May. The remote Krossneslaug offers a unique view of the ocean far from civilization. Built to serve local farmers in 1954, it’s scenic, with lively birdlife and majestic fjords. The challenge lies in the route to get to Krossneslaug; it’s a long and difficult drive on gravel road, recommended only from May to August. 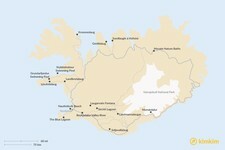 Drive approximately 37 miles (60 km) north on gravel road 643 from the small village of Hólmavík. Named the “Countryman’s Pool” in Icelandic, Landmannalaugar is a rich hot springs area in the highlands with mind-blowing landscapes. For the most rewarding experience, spend a full day hiking among glacial river valleys and old lava fields, then relax in one of the many geothermal natural pools. Head to the edge of the Laugahraun lava field, where hot water streams mix with natural cold water, to an ideal effect of 96-104°F (36-40°C). 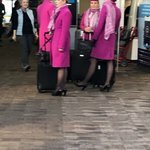 Can't decide which to visit? Our specialists can put together a custom road trip allowing you to soak and sample all the best spots.